There’s a creek right behind the tents on the “lower level” of our tent site. Luckily, we didn’t have any heavy rains. We elected to camp in Moab, which might not have been the best idea. We didn’t think about Moab being at a lower elevation than the previous places we visited (Durango and the Grand Canyon), it being the month of July, or the noise we’d experience in a state that allows all sorts of personal use fireworks. 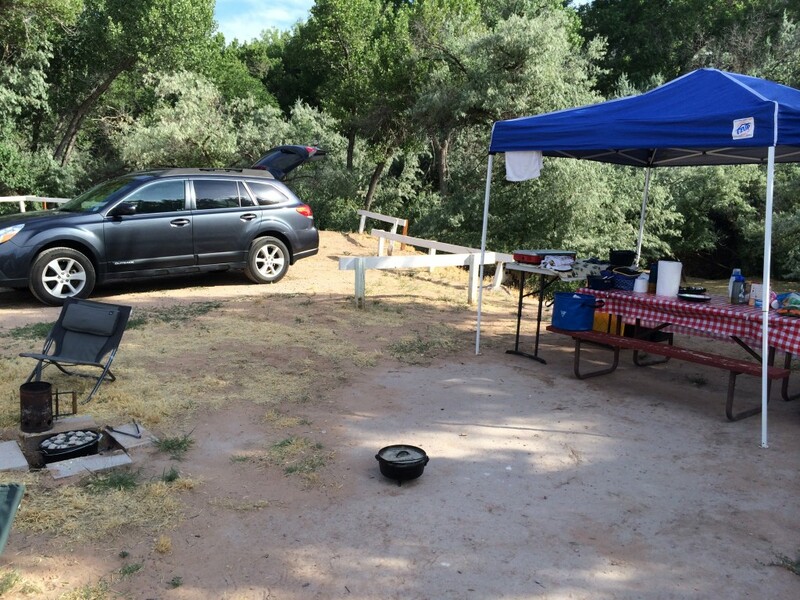 We chose Pack Creek Campground because they had a very gracious military promotion. We didn’t realize it was on the extreme south side of the city of Moab, while the parks we were interested in were accessed via the north side of the city. It wasn’t a huge deal, I just didn’t think that part through. The campground is in an odd part of the city, but the owners are very friendly and work hard to make visitors’ experiences good. We had a decent site that was distributed among two levels. We set up the cooking/eating section up high, while the tents were under the trees down low. There was a small staircase separating our two sections. On the upper level, we set up our shelter and our grills. That car parked there is associated with the neighboring tent site. The first night was rough for our family. After we watched the Moab fireworks show right from the campground (which was nice), we tried to get some sleep after a long day on the road. It was tough. We had to deal with fireworks well into the night. In addition, it was quite warm. 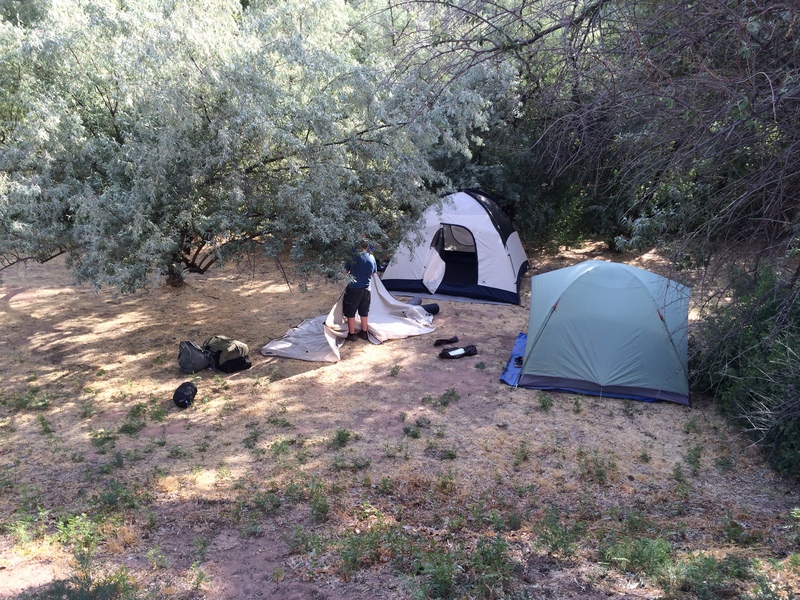 Probably the warmest camping we had experienced in many years. The second night was more quiet, and less warm, although we had to awaken in the middle of the night and secure everything due to a wind storm. I’ll take that over the first night anytime! Because of that rough first night, we didn’t quite make it to a sunrise hike to Delicate Arch in Arches National Park. We left the campground just after sunrise, but didn’t get to the arch itself till well after 9am. More about that in my next post.